ISG is hitting Seoul in the first week of November 2014, to represent the CNS work done by this British Company in the foreign soil, for the first time in the company’s history, since early 2011. Come and see us, if you want to see what we are made of in real. I am proud of UK Trade and Investment for making this very unlikely mission possible. Picture inset: Kimberley’s father, Advisor for Operations in the Far East. 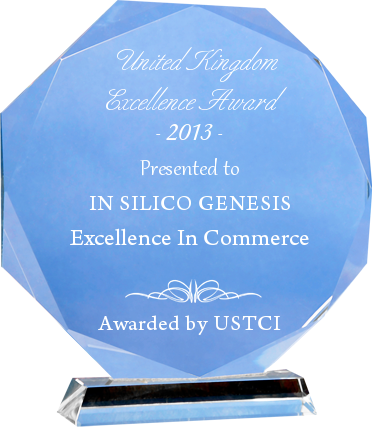 Shown below is an executive summary of In Silico Genesis. 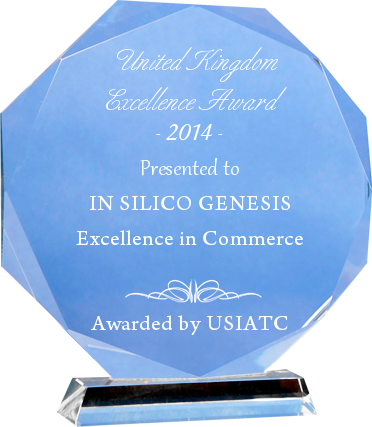 In Silico Genesis was founded in early 2011, primarily based on the work carried out in the Laboratory of Molecular Biophysics and the Structural Bioinformatics and Computational Biochemistry Unit, the Department of Biochemistry of the University of Oxford. The Medical Research Council provided the funding for the research and training undertaken, via MRC special training fellowship in Bioinformatics/Neuroinformatics/Health-Informatics, under a project title “Ion channels and their regulatory interactions – a bioinformatics approach”. 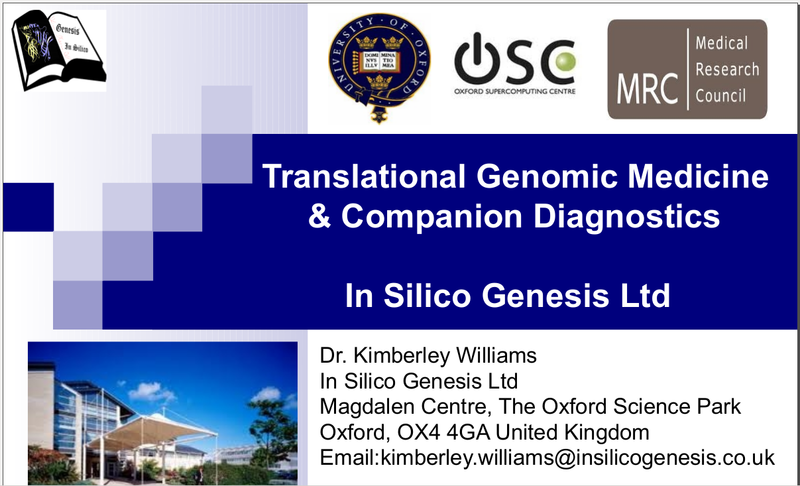 In Silico Genesis does a target-driven translation for developing genomic medicine and companion diagnostics. The company has three portfolios in the production line at present, which has been made possible via in kind support provided by the Oxford Supercomputing Centre in the Oxford e Research Centre of the University of Oxford. In Silico Genesis has a target identified for three existing antimalarials in the market (malaria companion diagnostics), an antiviral combination therapy consisting of oligonucleotides and a repurposed drug for influenza A virus (biohazard level 2) and Crimean Congo Haemorrhagic Fever virus (biohazard level 4), and a three-component Alzheimer’s therapy aided by a viral vector for delivery in the brain. The company operates in partnership with the Public Health England for our virus programme and is collaborating with Pharmacology, the University of Oxford for one of our Alzheimer’s projects. 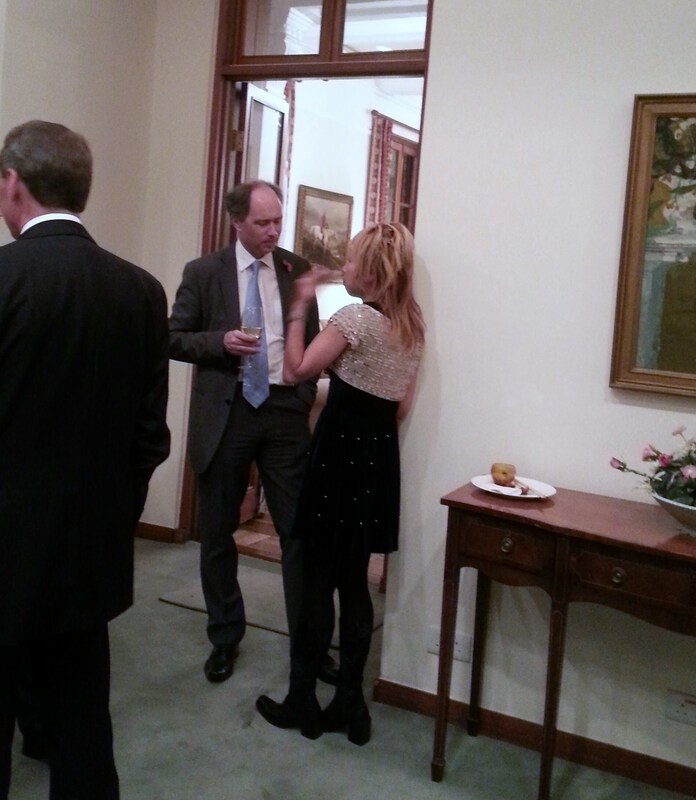 Kimberley of In Silico Genesis Limited (ISG) is thankful to Dr. Mark Treherne, Chief Executive of UK Trade and Investment (UKTI), Life Science Investment Organisation (LSIO) in Cambridge of England, for his unshakable confidence and trust since the year of foundation of In Silico Genesis.